Are you in the process of choosing paint colours to bring new life into your home? Are you unsure of what colours to use to appeal to buyers as you prepare to sell your home? It can be surprising how much time and effort it takes to make the right decision, and no one wants to repaint their home multiple times just to find the right look! 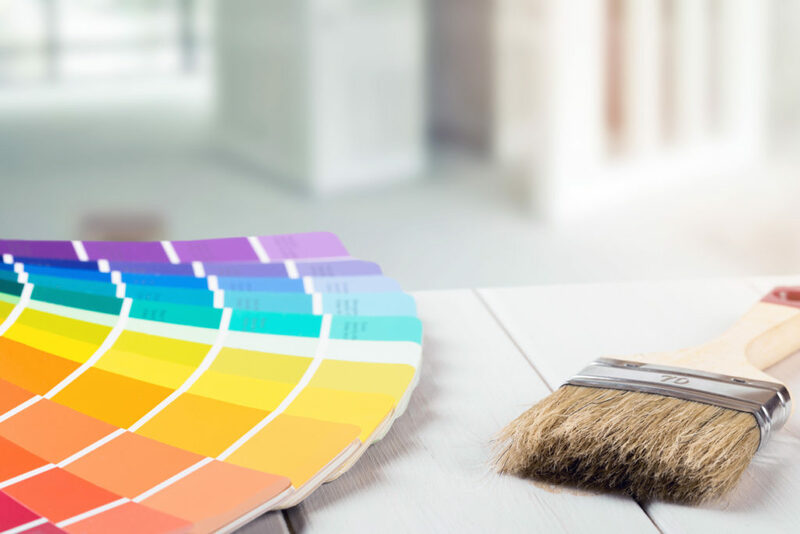 To save yourself the hassle, here are some reasons why you should hire a colour consultant in Toronto. Hiring a colour consultant can save you a lot of time. Instead of figuring out decorating and colour ideas for your home through Pinterest boards and online home décor blogs, you can save time and focus on more important things. Your colour consultant has already researched the best colour combinations for your home. You won’t have to spend hours looking at hundreds of colours and tones, because they can narrow down your choices for you, so you can make the final decision. Another benefit of working with a colour consultant is that they can save you money. When you search for colours on your own, you may need to purchase paint samples or fabric swatches that you never end up using! A colour consultant will actually save you money that you would be spending on sorting through the wrong colours for months. The colours you choose will be impacted by the kind of lighting you have in each room of your home. Lighting is so important that paint stores have specific lights they use for customers to test paint chips. The truest colour of paint is reflected in natural daylight, while incandescent lighting enhances warm tones and fluorescent lighting casts a blue tone. Your colour consultant will understand the role light plays when choosing your paint colours for your home. Whether you’re updating your home for sale or decorating your new home, chances are you have so many things going on and little time to keep up with decorating trends. Although home décor is a personal choice and you shouldn’t only base your decisions on what’s trending, it is important to be on top of trends when selling your home. Working with a professional colour consultant can do just that! They can share the top trends of the year, so you can make your home more appealing to homebuyers. Your colour consultant will help you understand how the colours connect from room to room. When choosing paint colours, it is best to create an atmosphere where one room transitions naturally onto the next. They will show you how to vary the intensity of each hue throughout your home to keep the home unified and separate the spaces. Are you preparing to put your home on the market? Are you giving your home a fresh look? Whatever reason you have for repainting your home, working with our colour consultants in Vaughan can save you time and money. They understand colour theory and how different tones and colours create different atmospheres. They also stay up-to-date with colour trends for home décor and can help the colours you choose flow from room to room. At Booth7, we think outside of the box when it comes to home upgrades, and there are many affordable projects we can work on that will dramatically transform the look of our home! We are a one-stop shop and our professionals will handle all the details of your project from start to finish, so you can trust us to get the job done right! Simply fill out our online form or contact us at info@booth7.com. Our staff with respond to your inquiry within a few hours. If you have a specific idea in mind, let us know and attach a photo of your existing room and get a free consultation and estimate today!